Melbourne garage kings ain’t stopping on eighth. 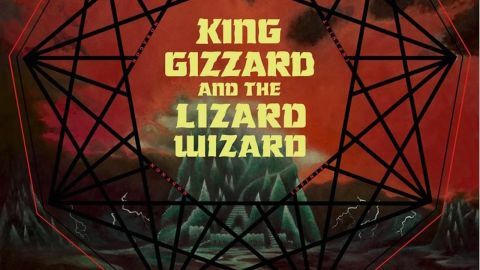 King Gizzard sit at garage’s psychedelic, cosmic end, and follow their 60s inspirations in blasting out several LPs a year. They obliterate retro accusations with explosive velocity here, flowing like burning lava without even a break between tracks, then looping back to the start. The implication: we can keep going forever. Robot Stop is a motorik glide into the Outback with a souped-up hotrod engine, needing King Gizzard’s two drummers for its hyper-charged momentum, flinging out harmonica splinters and layers of varied guitar en route. Wah-Wah deconstructs 70s hard rock until it becomes folk-rock, with bagpipe-style skirls. A whole album at 100 mph needs skill at the wheel not to start sounding slow, and for all the sensation of manic burn-out, every track has disciplined intricacy, using hairpin turns and jolting tape-slices to sculpt the gush of drums and feedback into prog-garage shape.